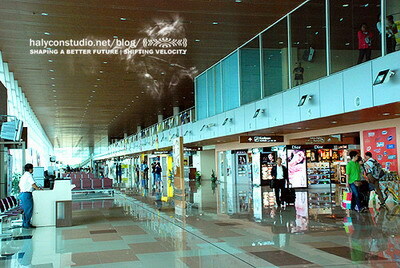 Kuching International Airport (KIA) is the main international gateway into Sarawak. It is situated 11 km (6NM) south of the city of Kuching. 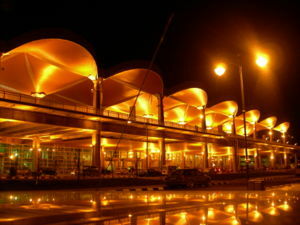 The airport is also an airbase for the Royal Malaysian Air Force and the newly renovated terminal complex is capable of handling 5 million passengers per annum and it is the third largest airport in Malaysia after Kuala Lumpur International Airport and Kota Kinabalu International Airport. KIA has grown rapidly with an increasing number of passengers and aircraft movements. In 2005, KIA handled 3.35 million passengers with a corresponding volume of 39,430 flights. In the same year, 28,406 metric tones of cargo were handled. Besides that,Kuching International Airport is the secondary hub for both Malaysia Airlines and AirAsia. �	The extension and strengthening of existing runway to take bigger jet aircraft. E.g. Boeing 707. �	The construction of a new terminal building on the north site of the runway. Work on the extension and strengthening of the runway was started in 1973 and was completed in 1976 ready to take Boeing 707 with the new runway measured of 2454 meter length. In 1980, consistent with the advent of Airbus 300 operations it was imperative the runway pavement strength be upgrade to meet Airbus 300 requirement. Work on this began and completed in early 1982. Construction of the terminal complex at the north site took a center stage at the end of 1978 and was completed in July 1983. This modern terminal replaced the previous terminal, was opened on 24th August 1983. The terminal complex covering a built-up area of 81 hectares with a floor space of 13,000 square meter, comprised the three-storey passenger terminal flanked by a neatly planned buildings of Air Traffic Control Tower and Operation Block, Cargo Building, Fire Station, Maintenance Building, VIP Building and ancillary services building. As in 1999, two airlines companies from two neighboring countries operate schedule services into Kuching International Airport besides three of Malaysia own airlines companies and as many of 8 private general aviation companies. 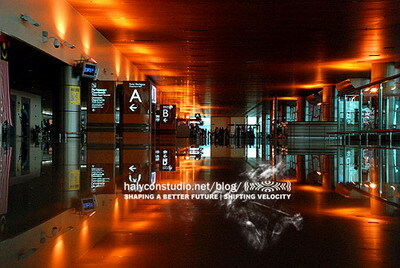 Irregular charted flights are also operating by two foreign airlines into the airport. The millennium takes another rapid development in aviation world. 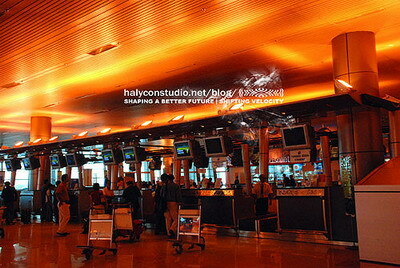 As a result, the new terminal with a new face was renovated and extended replacing the old shape. The new terminal complex was opened on Monday 16th January 2006 by Yang Amat Berhormat Pehin Sri Dr. Haji Abdul Taib Mahmud (Chief Minister of Sarawak) and Yang Berhormat Dato� Sri Chan Kong Choy (Minister of Transport Malaysia). The full work on the terminal completed in April 2006. Consisting of 9 bays (3 bay for B747 & A380 widebody aircraft), and 4 remote bays (for turboprop aircraft). Plus 3 new bays at the General Aviation Apron. Kuching�s above average growth rate would prevail as it continues to gain international recognition as a tourism destination with attractive primeval rainforest, majestic mountains and caves plus its flora and fauna and not forgetting the diverse ethnic communities.